Finding a plumber to come out in the middle of the night may or may not be a challenge. Common sense tells us that in areas with high population, there are more plumbing companies and with more plumbing companies, a greater chance of finding one that is willing to come out in the middle of the night or on a Sunday. A Plumbing company that offer emergency service 24 hour, 7 days a week will most likely be advertising those services. Keep in mind that even those that do not advertise emergency service probably would accommodate a past customer in a pinch. 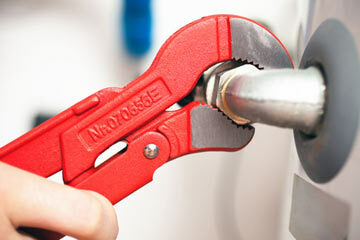 Most often the main number of the plumbing company handles all calls while some may offer a separate emergency number. Is It A Real Emergency Plumbing Situation? Unfortunately, some people think any plumbing problem is an emergency, so don't be surprised if the plumber passes on the late night call for a leaky faucet. In addition, the plumber may give the customer an estimate for the job over the phone, and give them a price to come out that night or a next day price that sound much better. Just because it's a plumbing emergency, don't expect a rush job. A customer shouldn't have to sacrifice quality for speed. A trusted plumber will have many of the common quality materials on hand and may ask the customer some questions in order to determine the materials and the parts that they need. 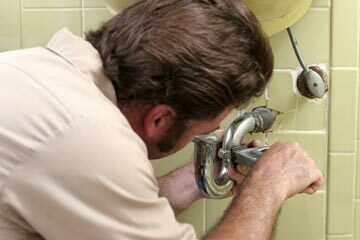 Hire plumbers that are licensed And insured. A real plumber is licensed, otherwise they might as well be a handyman. Even though most people that call themselves plumbers are licensed and insured, and a customer should ask the plumber to provide proof of license and that their company has insurance. Many customers write reviews of plumbers online, and usually, a potential customer can find detailed reviews that include the results of previous jobs that the plumber has done and the level of customer satisfaction that the plumber provides. In addition, a customer can call a trusted agency, such as the Better Business Bureau, in order to find out the plumber's rating. Some plumbers offer flat rate pricing so you know the cost up front while other plumbers choose to charge by the hour. How you want to get charged is up to you and what your opinion is. Flat rate has become more common over the years and helps avoid surprises. Some plumbers will charge extra if they are called out to a person's home after a certain hour of the evening, and some plumbers charge extra for jobs that they complete on the weekend. These extra fees can be relatively low, and the customer needs to figure out if it's worth the wait or not. 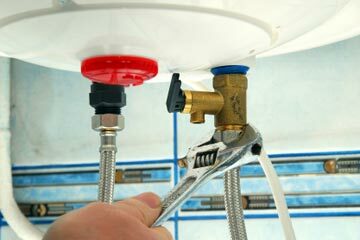 Many plumbers offer a guarantee that their repairs will last for a certain period of time, and in addition, the parts that the plumber installs will usually come with a warranty. Sometimes, a customer may not have a large amount of cash on hand in the middle of the night. 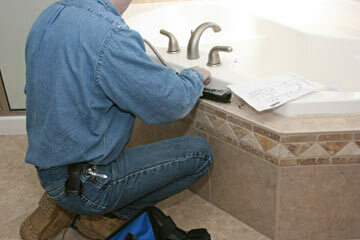 An emergency plumber will usually accept many types of payment, such as cash, a check and various types of credit cards. Some plumbers will allow a customer to finance the cost of the job, and although it's rare, a plumber may give a customer the option to finance the cost of the job in an emergency. When financing, a customer usually has to make a down payment that is equal to twenty-five percent of the cost of the job, and the plumber can quickly determine the terms and conditions of the financing and the duration of the financing. The bottom line about emergency plumbing service is that it's better to already have a trusted plumber that will be there for you when you need them most.